You are a peaceful alien from planet Zethra. Your mission on Earth is to make people stop killing each other and to teach them to live in peace and harmony. After years of studying human psychology and physiology, your nation has created a device that turns aggressive humans into pacifists. Your flying saucer is equipped with 3 devices of such kind. Abduct soldiers on the battle field and release them once they are turned into pacifists. Remember that pacifists are humans too and can be killed by a random bullet. • Move your flying saucer with arrow keys. • Stop your flying saucer precisely above a soldier to abduct him. • Once an abducted soldier is converted, press "Space" over an empty area to release him. • A mission ends when all soldiers are either dead or abducted. 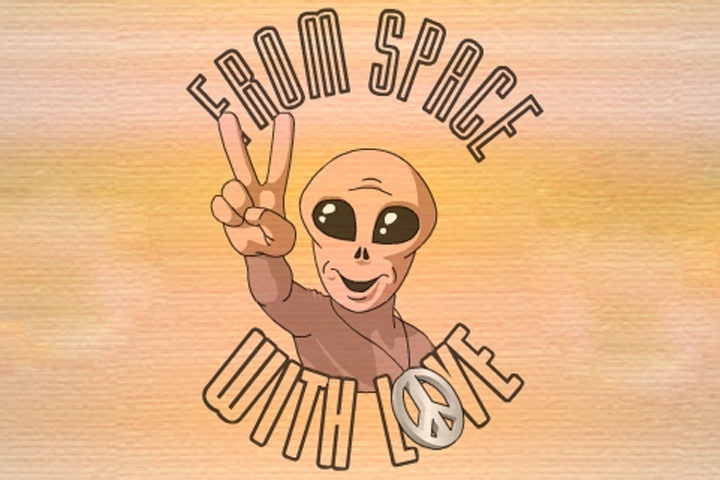 If you want to play From Space with Love games online you have come to the right place! GamesLoon adds new From Space with Love games every week. This is your game portal where you can find the biggest collection of free From Space with Love games online. Do not forget to rate our From Space with Love free online games while playing!